Labuan International Business and Financial Centre (IBFC), located in Malaysia is strategically located in the heart of the Asia Pacific region, sharing a common time zone with many major Asian cities, complementing the financial centres of Hong Kong, Singapore and Shanghai. Its regulator, Labuan Financial Services Authority (Labuan FSA) promotes a robust, modern and internationally recognised regulatory regime. 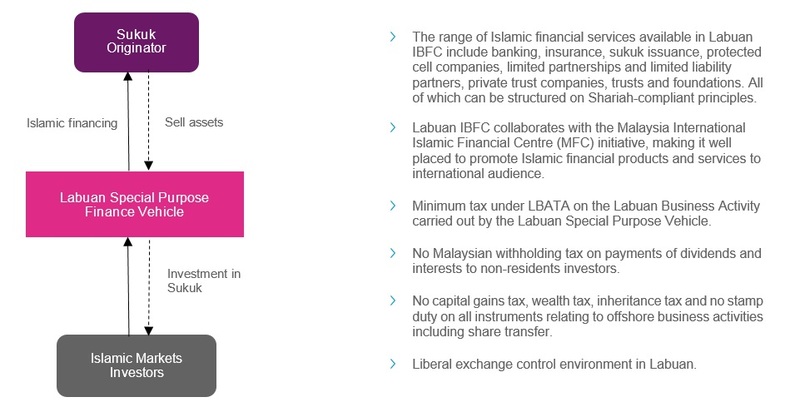 Labuan IBFC boasts Asia’s widest range of business and investment structures for cross border transactions, business dealings and wealth management needs. It also offers straightforward and simple tax framework and with access to Malaysia’s extensive double tax treaty network with more than 70 countries. Malaysia is a leader in Islamic finance and Labuan IBFC is the pioneer amongst international centres by having the world’s first omnibus legislation governing Islamic finance transactions in an international business and financial centre. 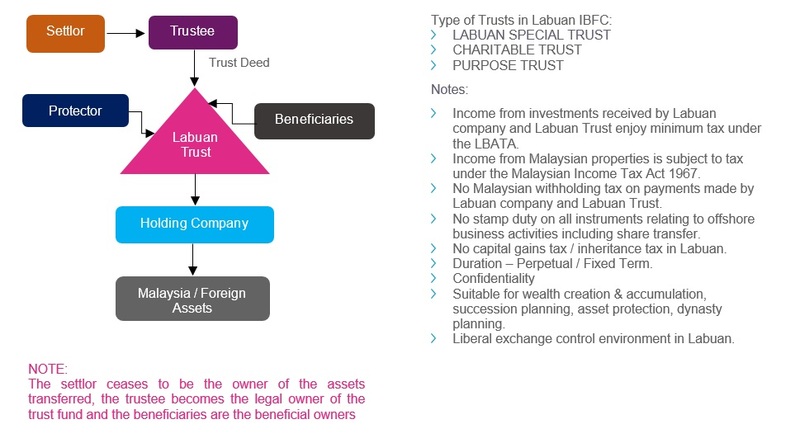 Labuan IBFC’s comprehensive legal framework provides for a wide range of legal entities and varies choices of products & offerings. Labuan Business Activity Tax Act 1990 (“LBATA”) governs the imposition, assessment and collection of tax on a Labuan business activity carried on in, from or through Labuan. excluding any activity which is an offence under any written law. “Labuan trading activity” includes banking, insurance, trading, management, licensing, shipping operations or any other activity which is not a Labuan non-trading activity. The Labuan entity shall pay 3% of net profits as per audited accounts. Labuan companies carrying on both Labuan trading and non-trading activities will be deemed to be carrying on Labuan trading activities. Hence, it will have the same tax treatment as those undertaking Labuan trading activity mentioned above. Labuan entities that carry on a non-Labuan business activity are subject to the provisions of the Malaysian Income Tax Act, 1967 (ITA). in relation to any other person, a person who has established a place of business, and is operating in Malaysia. and includes person who is declared to be a resident pursuant to s.43 of the Malaysian Exchange Control Act 1953. Strategically located in Malaysia, sharing common time zone with major Asian cities, complementing financial centres of Hong Kong, Singapore & Shanghai. A leading business and financial centre in Asia Pacific with growing reputation and track record. Striking an ideal balance between client confidentiality and compliance with international best standards. Robust and well-balanced legal and regulatory framework. A tax-efficient jurisdiction to facilitate businesses. Access to Malaysia’s double taxation treaty network with more than 70 countries. Not offered to general public. Fund manager need not be licenced. No approval required from Labuan FSA. Notification to Labuan FSA prior to launching of fund by submission of fund offering documents. Support multiclass fund – multi currency / asset class. ZERO withholding tax on payments to non-residents. No stamp duty on all instruments relating to offshore business activities including share transfer. No capital gains tax / inheritance tax. Stamp duty on all instruments executed by Labuan entity in connection with Labuan business activity, including M&A and transfer of shares instruments in Labuan entity. Dividends received from Labuan entities. Distributions received from Labuan trusts and foundations by the beneficiaries. 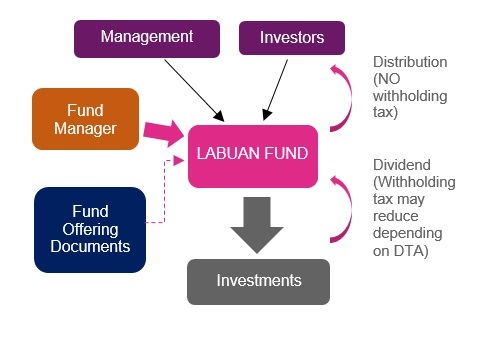 Distributions of profits by Labuan partnerships. 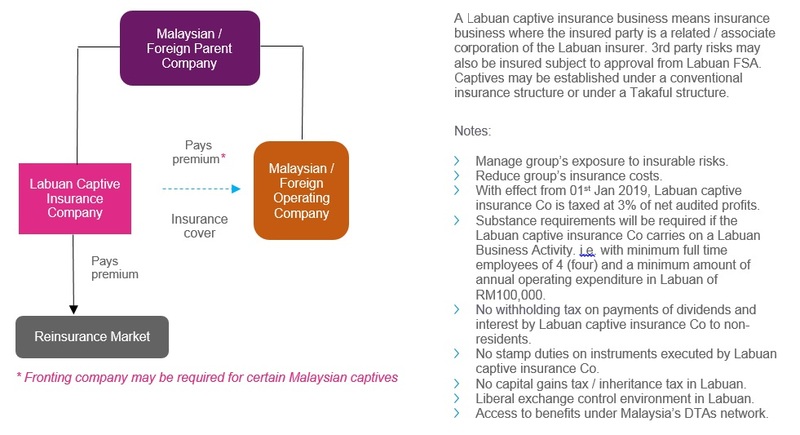 Interest received from a Labuan entity by another Labuan entity, resident or non-resident person (other than interest accruing to a business carried on by a non-resident person in Malaysia where that non-resident person is licensed to carry on business under the Malaysian Banking and Financial Institutions Act 1989, Islamic Banking Act 1983, Insurance Act 1996 or Takaful Act 1984). 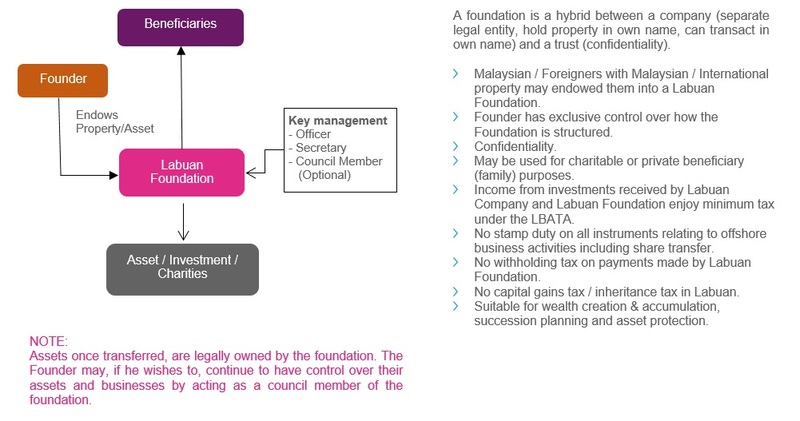 Tax exemption on directors’ fees received by a non-Malaysian citizen as director of a Labuan entity. Tax exemption on 50% of gross income received by an individual non-Malaysian citizen from exercising an employment in a managerial capacity with a Labuan entity in Labuan, co-located office or marketing office. Tax exemption on 50% of gross housing and Labuan Territory allowances received by Malaysian citizen from exercising an employment in Labuan with a Labuan entity. Tax exemption on 65% of the statutory income of any person providing qualifying professional services legal, accounting, financial and secretarial services, rendered in Labuan to a Labuan entity.